THE 2018 SEASON IS OPEN! Hooray! 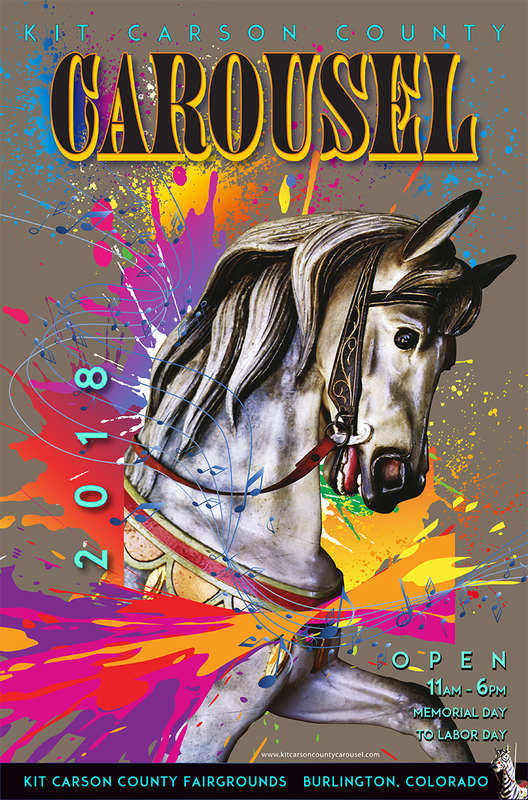 The Kit Carson County Carousel kicks off the 2018 season today! The carousel will be open daily, now through Labor Day from 11:00a.m. - 6:00p.m. Come take a magical ride for 25¢ and learn all about our history by visiting the museum for $1. We can't wait to see you!